In spite of improving conditions for veteran employment, more than half of veterans still feel that HR professionals do not understand their military skills, according to a 2018 Monster survey of more than 300 veterans. Veteran-founded Booz Allen is committed to improving this situation—and continues to see results for its efforts. For the fourth year in a row, the firm has made the Best Companies for Veterans list assembled by global employment company Monster and Military.com, a division of Monster that specifically supports military members, veterans, and their families. 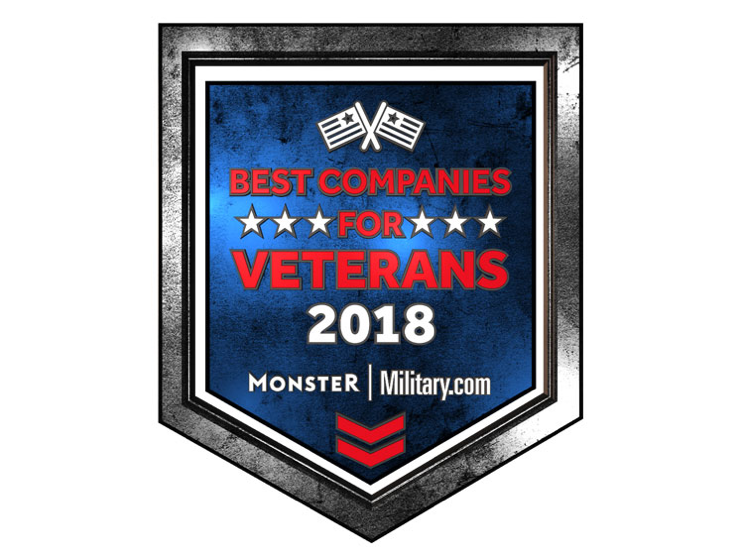 To create the Best Companies for Veterans list, Monster and Military.com asked a panel of veteran-hiring experts for their nominations of best-in-class companies with proven veteran hiring and retention practices. Nominated companies were then ranked on criteria including veteran hiring stats, veteran retention rates, and veteran recruitment plans and practices. Read about Booz Allen’s support for veterans and military families, the 2018 Best Companies for Veterans list, and other recent recognitions. Interested in a career at Booz Allen? See, here.